LITTLE ROCK, Ark., April 2, 2019 /PRNewswire/ -- Zips Car Wash (www.zipscarwash.com) announced today the acquisition of 15 stores, allowing the chain to add to their existing operations in Oklahoma, Missouri, North Carolina, South Carolina and Kentucky. 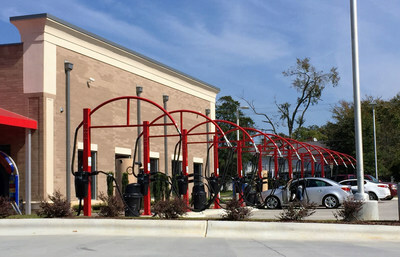 Former American Pride Xpress Car Wash in Raleigh, NC, will now operate as part of the Zips Car Wash family of car washes. Zips Car Wash offers express tunnel car wash services and self-serve vacuums. The company started in 2004 with just two stores in Arkansas and now serves customers in 15 states at 154 locations. Zips Car Wash is headquartered in Little Rock, Arkansas, and plans to continue to grow in 2019. 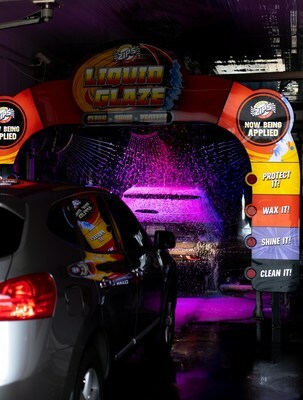 An interior view of the Zips Car Wash tunnel as vehicles get treated with the top products in the industry. Zips Car Wash offers four wash packages to choose from, as well as an Unlimited Wash Club program that allows customers to wash their vehicle all they want for one, low monthly fee. "We're excited to acquire these thriving operations in areas where we already have great team members and a strong customer base," said Brett Overman, Founder and Owner of Zips Car Wash. "We're developing new ways to reach customers and meet their buying and budget needs and are excited to grow in these markets where we can see a great potential to better serve our customers with added locations in their area," he added. Zips acquired one car wash from Eco Express in Edmond, Oklahoma, just a few miles away from its other operations in Edmond and Oklahoma City. "The close proximity of our car washes is all a part of our strategic plan to make our services more convenient for our customers, especially those most loyal to our brand – our Unlimited Wash Club members," Overman added. "We consider it an honor to grow with the communities we serve, and we look forward to a stronger investment in these areas," said Overman.